The last Hunger Games book, Mockingjay came out on August 24, 2010, and the last movie, Mockingjay Part 2 was released on November 20, 2015. Therefore, we have lived without this dystopian world for a while, but fans were left with many questions regarding the country inhabited by Katniss, Peeta, and Gale, aka Panem. Here is a detailed explanation that will finally answer all your inquiries. This book is set on a fictional country called Panem, but it’s located in the United States of America and divided into 13 Districts and the Capitol. Each district is responsible for a particular product needed in the rest of the country, and we are going to elaborate on each of them, but first, we have to talk about how this land was founded. Before the story depicted in this series, people lived in a modern civilization, but everything was destroyed due to several wars and a couple of natural disasters that are not specified. The conclusion is that the land was ruined because of humanity’s own actions and by not paying attention to the environment which is chillingly similar to today’s world. 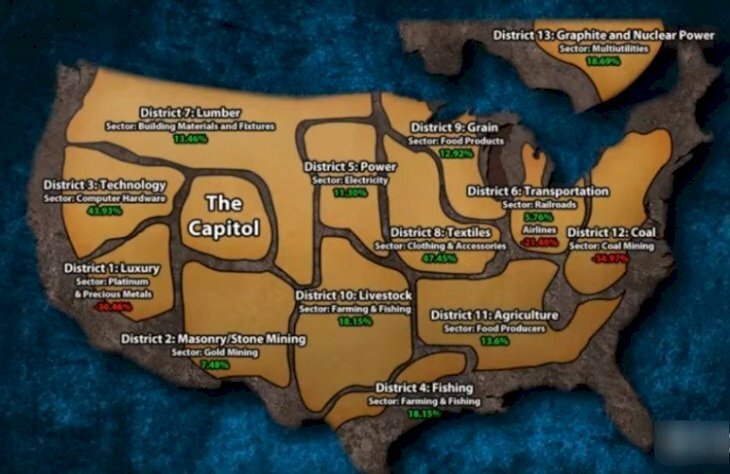 After all that mess, the survivors created a new nation, and as it grew, it was expanded into 13 districts, which handled different productions of needed resources, but they were supervised by the Capitol. However, things went downhill because the main city became oppressive, and we know that power leads to corruption as there was no democracy. The districts were not even able to share with one another, so every district became isolated, developing their own culture. Thus, the dark days of Panem began after the First Rebellion, an uprising led by District 13 against the dictatorship of the Capitol. The book doesn’t explain the exact causes of the rebellion aside from the people growing weary of living under an oppressive system. After a while, it was clear that the Capitol would win this battle, and District 13 hoped to get their freedom by abandoning the rest of the districts. They took nuclear weapons from the Capitol and intimidated them, so the Capitol decided to reach an agreement with them in exchange for their withdrawal from the war. 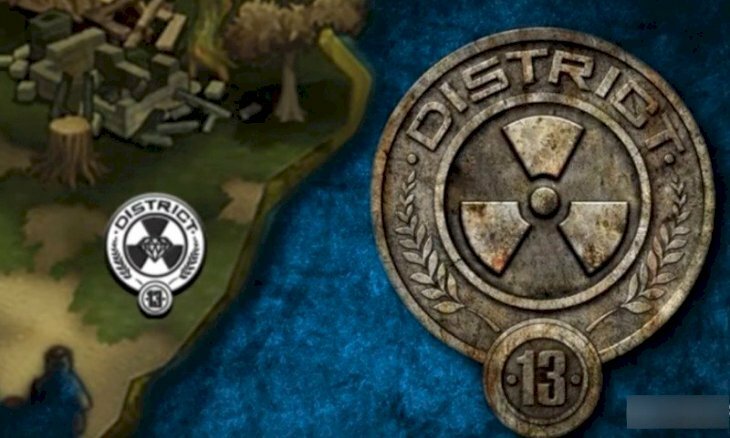 The people of District 13 created underground facilities, and the Capitol bombed the surfaced infrastructure to use as propaganda in their new campaign. They signed the Treaty of Treason, which explained in detail the concept of The Hunger Games, a punishment designed for the 12 remaining districts so they would never forget the dark days. 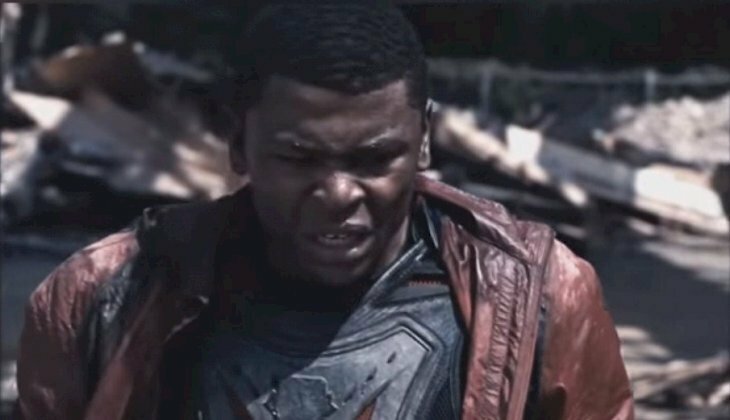 The Hunger Games is a competition show for the Capitol, but the contestants consist of two kids, a boy, and girl, from the 12 districts, and they have to fight to the death until one champion remained standing. This is nothing like Survivor, but it became the main entertainment every year for the vain people living in the Capitol. This is the largest city in Panem, and the most important thing is that it was not considered a district. It’s allegedly located somewhere in the Rocky Mountains of North America, which covers several of our world’s states, and it was the only way Panem really protected itself from the wrath of the districts. The President always lived there. During the events of the series, President Snow was in power, though there had been many rulers over the years, we know that he got there on very questionable terms, so he was clearly a villain. Moreover, the people of the Capitol lived happy, frivolous lives that were powered by the hard work of the 12 districts that had very little, to begin with. They basically took everything for themselves and even induced vomiting to continue gorging on the decadent food. Another aspect of these people is the crazy way they dressed, as you might have seen in the films. Their clothes were very avant-garde with lots of colorful hair and makeup for women and men alike. This was one of the wealthiest districts because they made products that were highly coveted by the Capitol and its citizens. Gold, perfume, jewelry, wine, fur, and even hair products were some of their industries, and that is why they held favor from the main city of Panem. Furthermore, the children in the District One enjoyed participating in The Hunger Games. Some of the kids were trained from a young age to get to the competition, and they were known as “careers”. Once in the arena, they tended to team up with the children from the other affluent districts and hunted the rest of the opponents together until only careers were left. Most of the winners of the game came from this district or the other rich ones. 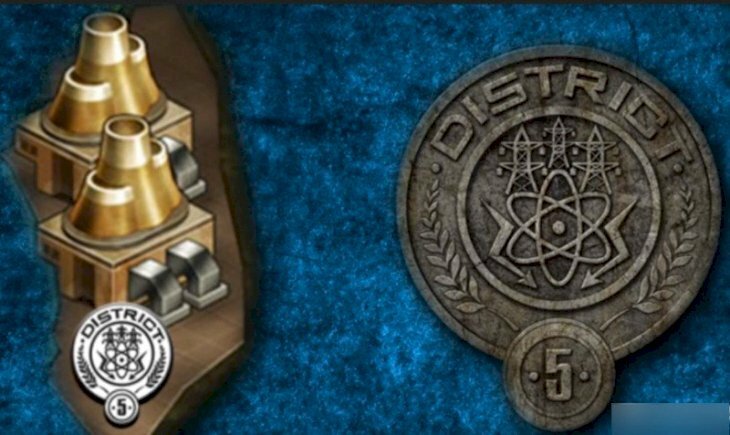 They were considered much the same as the first district when it comes to the children that compete in The Hunger Games, as they are also “careers”. Their main resource was masonry, and they were loyal to the Capitol during the First Rebellion, so they were favored after the Treaty of Treason and also because of their location which is near the Capitol. 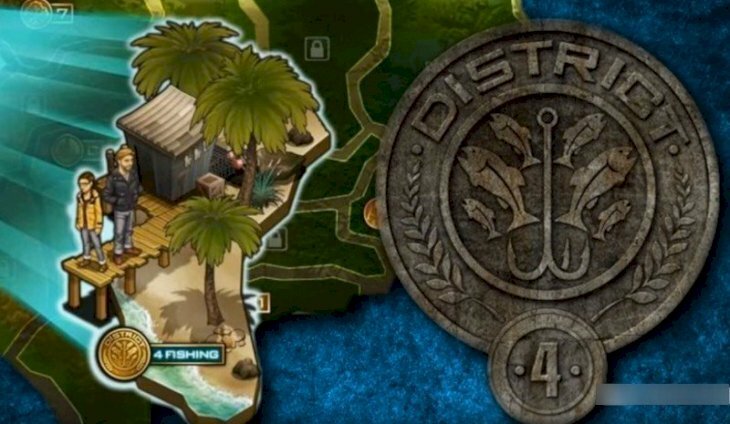 Many Peacekeepers came from District 2, which was also responsible for making weapons, and the citizens were allowed to have them to train for the competition; an advantage over the rest of the districts inside the games. You might remember Cato, played by Alexander Ludwig, and Clove, played by Isabelle Fuhrman, who was very skilled with knives. 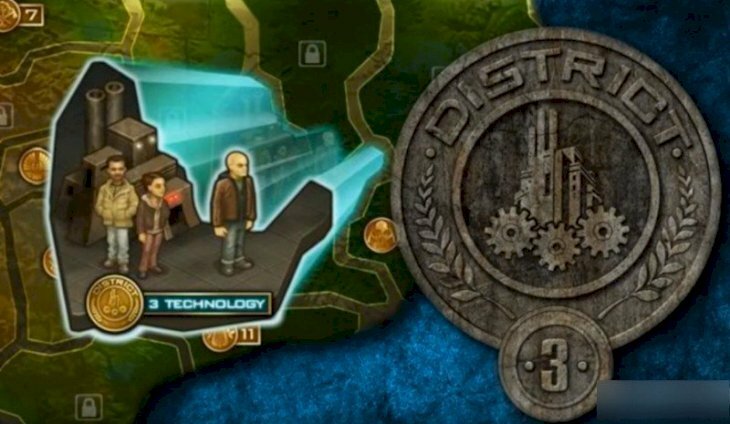 This district was known for the industry of technology as they made televisions, computers and other items for the citizens of the Capitol, so you would think that this land was also wealthy, but the opposite is true. 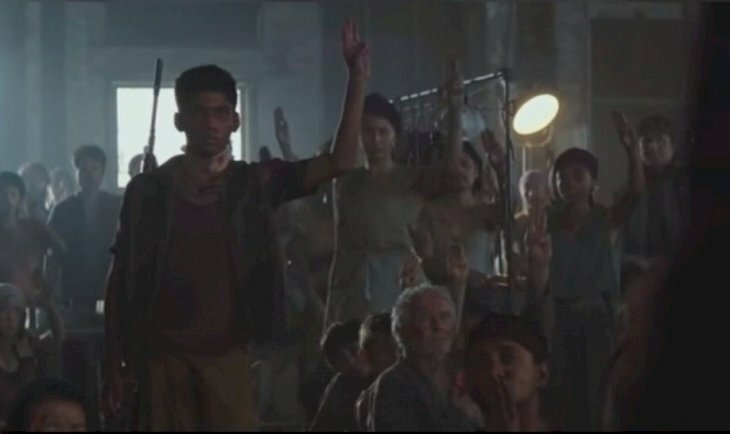 The citizens worked in factories, most of the people had backgrounds in engineering, and they were also incredibly smart and were some of Katniss’ firmer supporters. You probably remember Beetee Latier, who we met in Catching Fire when The Hunger Games consisted of victors from previous competitions. He was the winner of the 45th event, and along with many, he survived the Quarter Quell and was taken to District 13. We knew him as an incredibly smart individual, without whom, the last rebellion might not have worked. 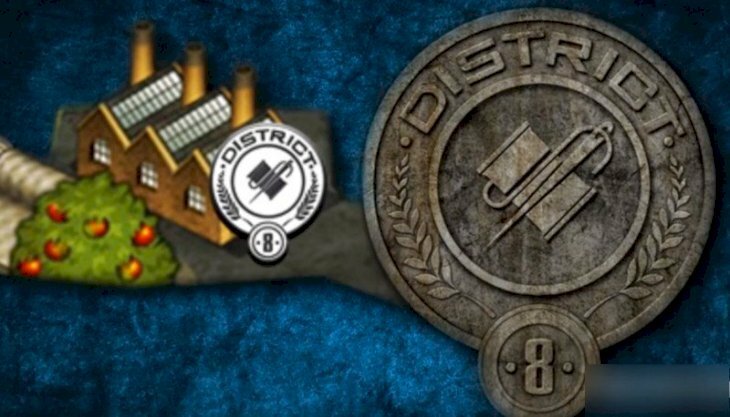 Much like District One and Two, the citizens of this district spawned “career” tributes, but they also liked the rebellion. Their main industry was fishing, and kids were taught the skills from a young age, which gave them a bit of an advantage in terms of swimming, making nets and fishhooks, and finding seafood. During Katniss’ Victory Tour, we saw that Four, Three, and Eight were all happy to see her. Despite the fact that it was illegal, they also produced “career” tribute, though they were much more beautiful than the others. During the 75th Hunger Games, we saw Finnick Odair, and Mags Flanagan joined Peeta and Katniss’ team, and we also witnessed how Finnick was able to unknot everything easily due to his district’s activities. Their industry was power as they were responsible for the electricty of all Panem, notably the Capitol. In Mockingjay, the rebels destroyed a hydroelectric power plant in the district which left the capital city in the dark. Since they had many electronics, their lives were more advanced than other communities. You might remember the tribute known as Foxface, who died eating berries. 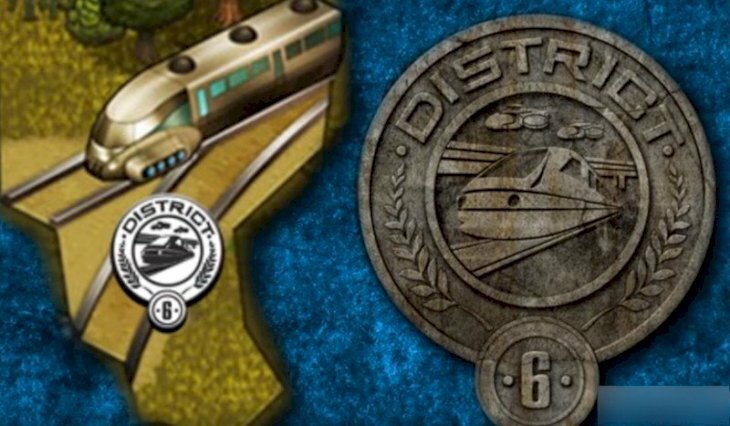 Their industry was transportation, making them responsible for the trains in all of Panem, the tracks and mapping out the routes that would connect the districts. They were also in charge of making the jets and planes for the Capitol. You might recognize the Morphling twins from the 75th Hunger Games, who were tasked to take care of Katniss in the competition. The majority of this region was covered with forests and it was one of the biggest in the country, so their industry was lumber and paper, but they also had a handle on working with axes. We saw Johanna Mason in the 75th Hunger Games demonstrating her impressive ax skills which awed Katniss. Most people in the land were carpenters, lumberjacks or paper makers. This region was responsible for the development of textiles, meaning they made clothes and bedding. It was also filled with many industrial areas, so their land was mostly polluted with no foliage anywhere in sight. One of the factories was responsible for making the uniforms of the Peacekeepers. 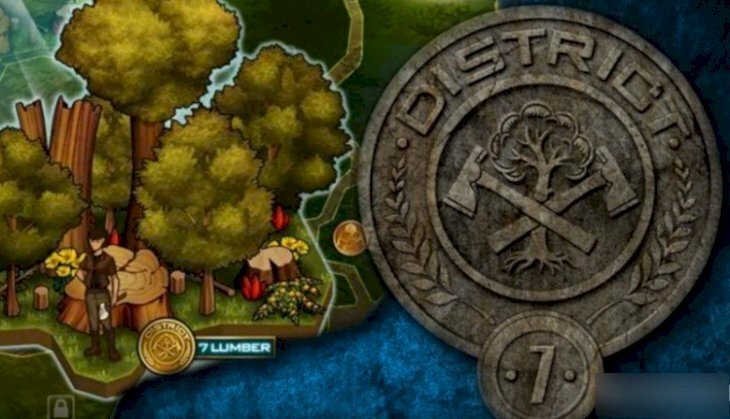 This district was one of the main rebels, as they started the Second Rebellion after the 74th Hunger Games. They took over a bunch of buildings, overwhelming the Peacekeepers there, but the Capitol sent more, and they were put in lockdown, having to remain in their homes which were wasted dwellings. Their only connection with the outside world was the communications from the Capitol, but they continued to rebel, even when another of their factories was destroyed. 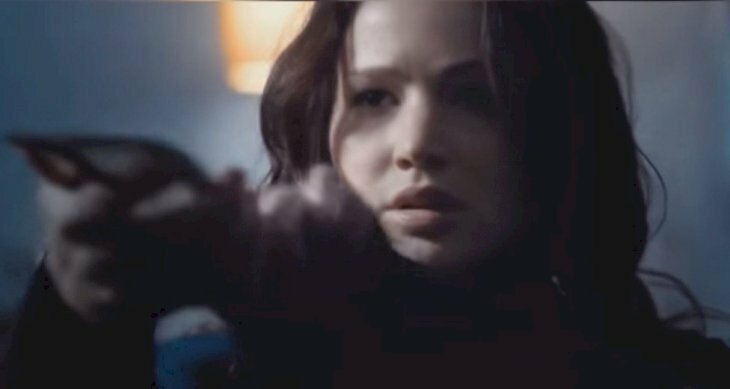 You might remember Katniss visiting the district, being greeted by Commander Paylor, and when President Snow caught on that she was there, they bombed the region once again. 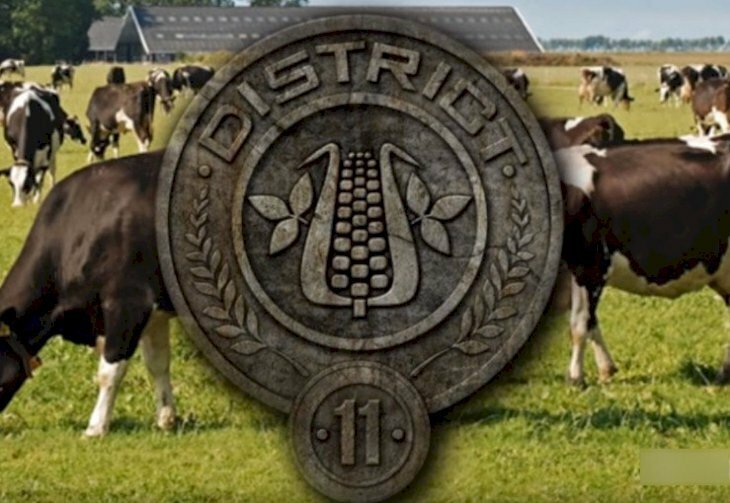 The tributes you might remember from this district were Cecelia and Woof from the 75th Hunger Games. They ended up leading the new country after the Second Rebellion. This region was another big one in the country, and they had many plants that developed grain products for consumption. Some citizens are farmers while others are factory workers. 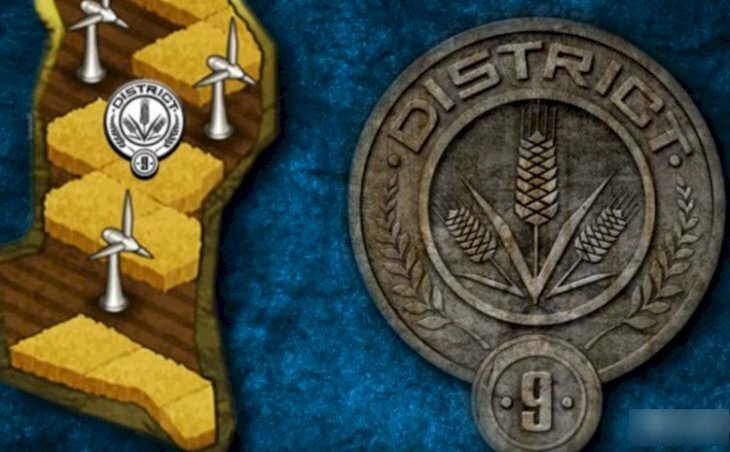 According to The Hunger Games: Tribute Guide, "District 9 is Panem's bread bowl, giving us the fertile harvest we need to keep rising as a nation. Its amber waves of grain are an inspiration to us all." This region was focused on livestock, as they were the main providers of meat for the rest of the country and were located in what would be Texas in the real world. However, they used cows only for meat, not for the dairy. 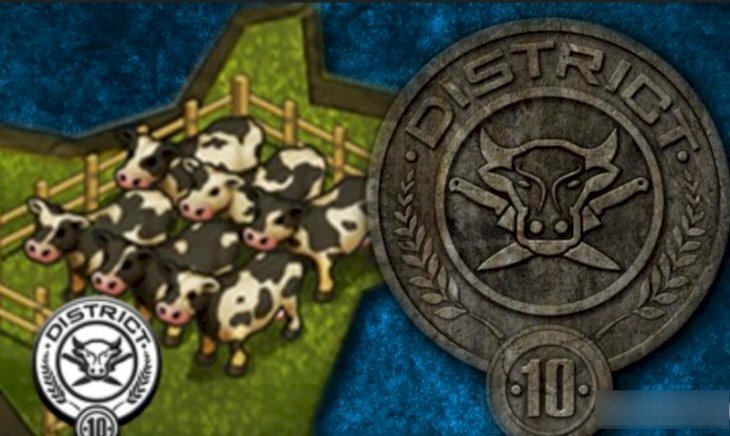 "The gentle lowing of cattle is the first thing a visitor to District 10 hears. This region raises strong, healthy livestock, which becomes the meat that helps us raise strong, healthy children of Panem." Their industry was agriculture, and their plots were mostly farmlands with lots of dairy cows as they focused on dairy products. The citizens have darker-colored skin and are some of the poorest in Panem. It would be located in Atlanta, and although they made a lot of food, they were not allowed to have it. Since they had the majority of the country’s food supply, they were watched constantly. The Peacekeepers were crueler with the people of this region. They publicly whipped those who stole food for their families and even went as far as killing them to make an example of them. The people used Mockingjays to send messages, and those birds became the symbol of the rebellion. The district was surrounded by a huge, electrified fence so that no one is able to escape or get in. 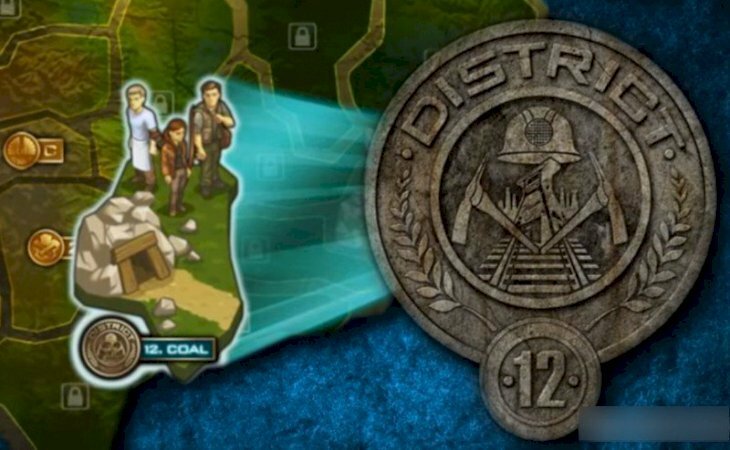 This part of Panem was the poorest and smallest region in the whole country, and their main resource was mining, which can be very dangerous for all the citizens. They also had a huge fence around it that was supposed to be powered but never really did. There were woods beyond the fence where Gale and Katniss used to hunt animals for their families or to sell in the market. 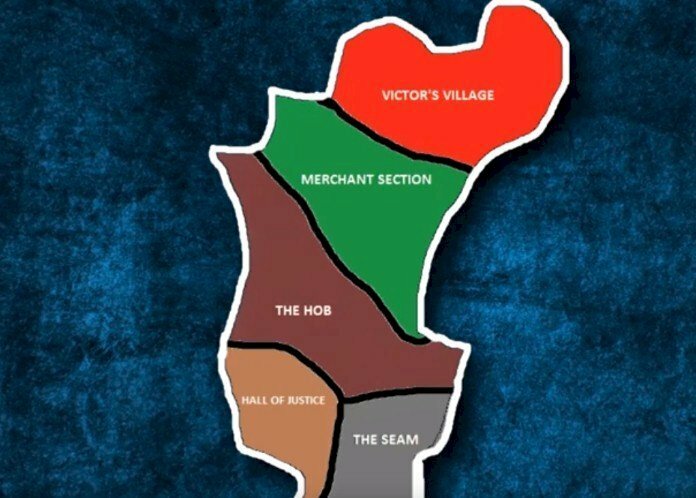 This district had a couple of different sectors like the Merchant section where the Mayor and his daughter lived, which is one of the richest parts. Peeta also lived there, in the top story of his family’s bakery just like most vendors. They used to make trades with the Capitol, and most of the people there were blonde with blue eyes. However, Katniss lived in the poorest section of the district, right on the edge which made it easier to sneak out to hunt. The people in this part usually had gray eyes and olive skin, but Katniss’ mother and her sister, Primrose, were oddities because they were blonde. The reason was that her mother lived in the merchant section but moved to The Seam when she married her father. Katniss’ father was killed during an accident in the mines when she was just 11 years old. Another important part of the district is The Hob, or the black market, where people traded many things that were not allowed legally. 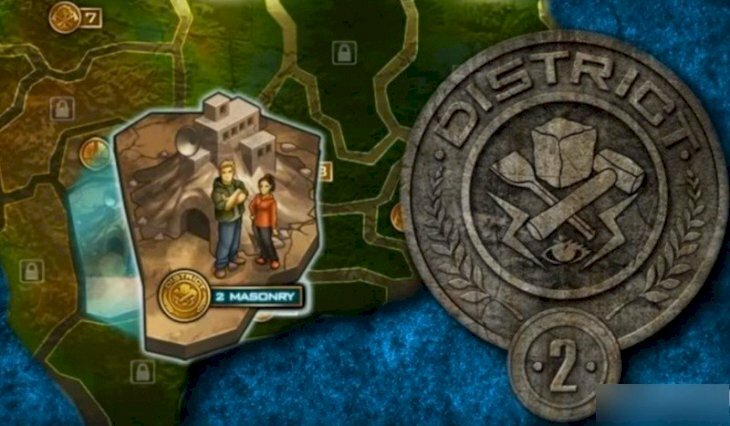 There was also Victor’s Village, only inhabited by Haymitch Abernathy in the first book. After the Second Rebellion, they gave up mining and started producing medicine. Located in the part of the U.S. known as New England, this region focused on nuclear weapons, but most of Panem thought that they only had graphite mining. In the Dark Days of the First Rebellion, everyone believed that the district ceased to exist and that no one could live there because of the chemicals from the constant bombing. The Capitol liked showing footage of the ruined district, so they dropped bombs every once in a while to create fear in the citizens of the regions. However, we explained earlier that 13 made a deal with the Capitol and did not have to face the consequences of the Treaty of Treason, and everyone thought it had been eradicated by the leaders. The people of the district lived with an almost military schedule, getting up early, eating, and getting one-day tattoos with their agenda. This tattoo included everything in the day, so everyone’s lives were planned to the last second before going to bed. Furthermore, they would also work on someone’s individual skills. Otherwise, they were sent to the hospital or the kitchen. Their president was Alma Coin, who honestly was no different from Snow in terms of wanting power. They received nothing from the outside, so they almost died completely by a virus that killed most of their people, and the remaining citizens were left sterile. They needed other districts to come to them or risk dying out completely. Over the years they had developed their weapon reserves, so after the 74th Hunger Games, they wanted to join in the Second Rebellion against the Capitol, and they did, being integral parts of why this uprising was successful. They changed a lot of things in Panem after that, and Coin was supposed to take over the President position from Snow. 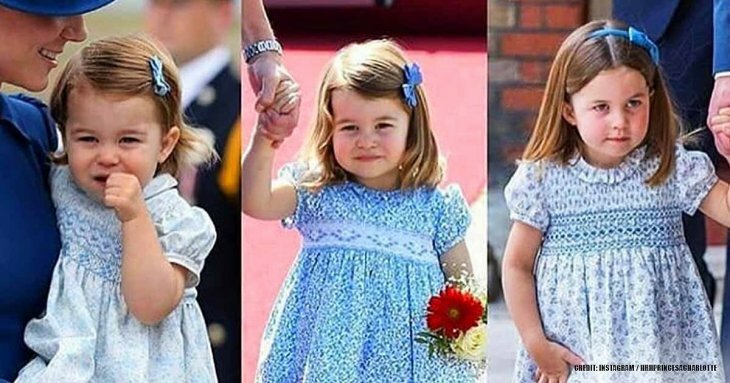 However, she had the idea to put the children of the Capitol’s citizens in a final Hunger Games, and Katniss knew that she could not be allowed to live, so she killed her. Commander Paylor took over, ending the stupid tradition like the original plan, and there was no official 76th Hunger Games. After that, we know that Katniss ended up marrying Peeta Mellark instead of Gale. 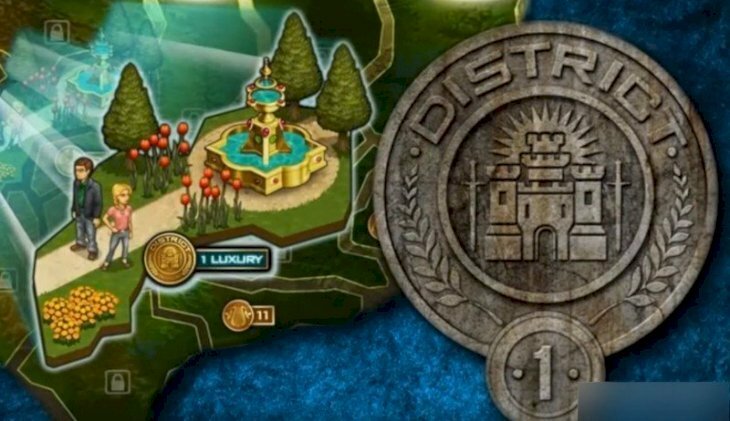 Do you understand the foundation of the districts better now? Some of them were not as important to the original story, but it’s always great when we finally understand the intricacies of someone’s creation. We will always be grateful for authors that created these unbelievable worlds. If you liked this article, share it with your friends and may the odds be ever in your favor. See you next time!